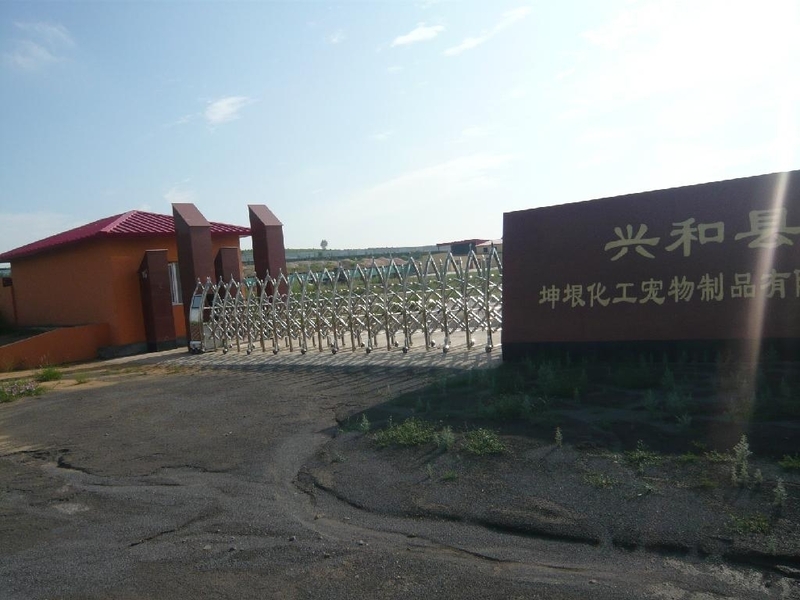 Inner Mongolia Xinghe County Kunyin Chemical Industry Pet Products Co.,Ltd, founded in 2002, after 12 years of development, now it has grown into a high-tech bentonite cat litter production enterprises who integrated scientific research, development, manufacturing as sales and trade . It is located in Inner Mongolia, Hebei and Shanxi provinces junction, highway and railway connected directly to Tianjin port, adjoin the high-speed Jing Zang, high-speed Jing Xing, high-speed Xuan Da, high-speed Zhang Shi , which is headed to Russia ,transportation is very convenient. Our company have the advantage of 170 million tons high quality bentonite resources in Inner Mongolia Gaomaozi mine , and we have high quality bentonite mine 1 and cooperation mine 3, and recoverable reserves of more than 24 million tons, the company covers an area of 110000 square meters, fixed assets of 11 million yuan.At present, the company has nearly hundred employees, technicians, strong technical force, strong development capabilities, assay inspection means complete, perfect quality assurance system, passed ISO9001:2000 certification.And we are awarded as designated production enterprise of bentonite by China association for engineering construction. Our company have a large artificial sodium 2 dry up and process equipment, and manual natrium bentonite 100000 tons,.We can produce all kinds of bentonite cat litter, metallurgical pellet bentonite, feed additives, drilling mud, building waterproof, environmental protection and other fields, the company adhering to the "customer first, forge ahead" business philosophy, providing all the customers with quality services . Our aim: Thinking how to promotes the development of both sides before doing. We sincerely welcome your inquiry and patronage!